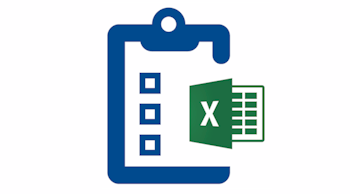 Maintenance management relying on pen-and-paper, Microsoft Access® or Microsoft Excel®, among others, was widespread practice for years in a great number of businesses. Can you imagine nowadays a pen-and-paper based system for your scheduled work orders? How would its management and control be like? Is there some supporting document stating that work order “A” was assigned to technician “B” on a particular date, “C”? What does the technician do with the sheet of paper? Does he fill in the task start and end dates, as well as times, does he note the parts used and amounts spent? Is the sheet returned to the maintenance supervisor who files it in a physical binder? What type of processing does this information go through? Is the same procedure used for non-scheduled tasks? If you want to track the breakdown history of a piece of equipment will you have to search through all sheets filed and remove the pages you are looking for? Will they at some later stage be recorded on some computer-based medium according to the required indicator or analysis? And what about stock management? Is there a paper-based medium where each and every consumption and purchase of materials is recorded? When am I to find out what to order and when is the right time to order? Who might be the best supplier for each part? Is it possible to estimate consumption of materials throughout the year and set up a procurement policy in order to avoid stock outs?